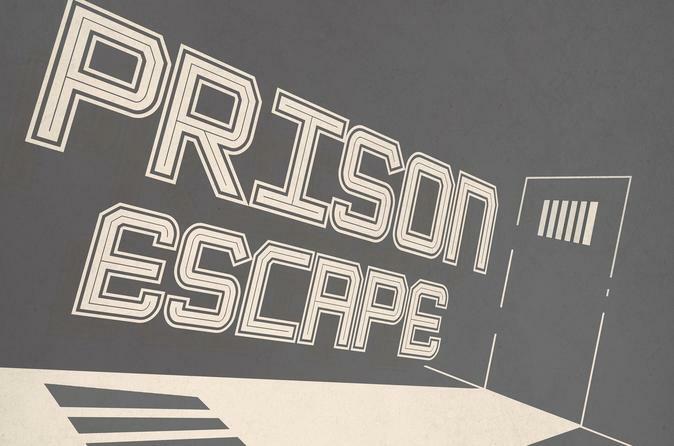 Take your room escape experience into a whole new level with this 1-hour Prison Escape Game. Delight in an immersive, room escape experience that’s packed with mechanical, electrical, automatic devices, and puzzles that are intriguing and coherent with the story-lines. In this game, how will you find your way out of the prison cell in time? Participate in an action, perception, and collaboration game in which you are locked in with your friends. Solve a series of puzzles and riddles in order to escape prison room within the hour. You and four to eight players will attempt to win this game, which is known to have a 32 percent success rate of. The game: you’re locked up in a prison cell, awaiting the death penalty. You have lost count of the days that have gone by. You noticed that Thursday's jail warden spends an extra hour at dinner due to his gambling habits, and you see your chance for escape. You know that recently new inmates have been locked up next door. You can hear murmuring about "inside man" and "decode messages." Thursday is probably the only chance for you to escape. Will you and fellow inmates come up with a plan to find a way out, or will the death penalty come and find you first?